The Nosy Be Archipelago is situated off the north west coast of Madagascar (280 km2). 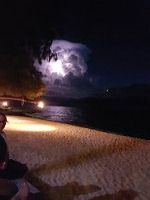 Commonly known as the “big Island” and includes numerous smaller surrounding islands. It’s tropical climate and classical ‘Indian Ocean holiday island’ appeal makes it a leading sea, sun & sand destination. To make the most of your time on Nosy Be Island Madagascar, be sure to visit some of the surrounding islands. 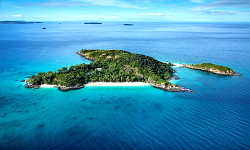 Nosy Be island boasts fine hotels ranging from upmarket resort type hotels to small intimate island style boutique hotels, there is certainly accommodation to suit all budgets. SA Airlink & Air Madagascar with its modern fleet of aircraft will fly you to Madagascar and then Air Madagascar domestic service will fly you to every corner of this mystical island. Travel to the Island of Madagascar and be one of the few to explore this new & exciting mystical island. Nosy Sakatia Island (Orchid Island), a small lush island, a short boat trip from the main island offering excellent snorkeling, diving and moderate hiking. 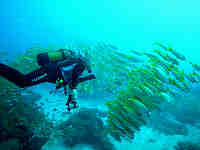 Sakatia Lodge offers full scuba diving equipment plus nitrox for those serious divers who wish to dive longer. Deservedly the most popular of these, are Nosy Komba & Nosy Tanikely in the south, a full day excursion to these two islands is recommended. On Nosy Komba see the village culture where man and lemurs live in harmony with one another. Discover fascinating Madagascar wildlife, fauna and flora including Lemurs, Chameleons and Boa Constrictors. The Lemur sanctuary allows you to get up close and personal with these endearing little animals. Nosy Tanikely, a marine reserve offering world-class snorkeling right off the beach and scuba diving. Snorkeling equipment may be hired at the beach. A sumptuous sea food lunch & refreshments are served on the beach (subject to current conditions) under the trees while being observed by the local Lemur population, making for an excellent day excursion. Further out lie the smaller private island of Nosy Iranja and Nosy Mitsio (Tsarabanjina) distances require overnights stays. These islands offer a more upmarket & personalised accommodation. 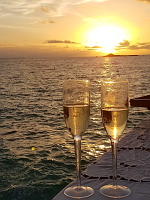 Below we offer an idea of Nosy Be Island, hotels and costs. This will be your dream, now coming true. A truly amazing laid back, bare foot 5* private little island atmosphere surrounded by the warm turquoise water and personal 5* pampered service. Exquisite beaches with ribbons of white sand, tropical fauna and flora with some of the world's rarest species, a crystal clear lagoon largely unexploited in an unspoilt Madagascan sanctuary. Tsarabanjina is infused with a warm Malagasy feel and offers ecologically designed villas spread along unspoilt beaches; be prepared for a Robinson Crusoe escape Constance style! 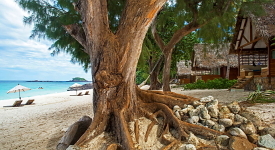 Be among the first to seek out the hidden depths and gems of the unspoilt virgin Reefs. Feast on fresh seafood and Malagasy specialities in a sandy floored restaurant. Relax in your hammock, swaying in the breeze, as you contemplate your dreams, while being mesmerised by the colourful views across the endless ocean. Guests can relax on the beach or enjoy exploring walks along the lovely long soft white beaches. Water sports facilities for diving and snorkelling are also available on site. Various excursions & activities are provided for guests, and there is free WiFi access in the bar areas. 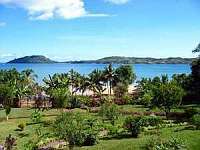 Anjiamarango Beach Resort is located on the North Eastern side of Nosy Be Island, on the western shores of Befotaka Bay offering some amazing tropical sunsets. (see above map) The Bay is sheltered and offers swimming at both high and low tides. Featuring a private sandy beach, Anjiamarango Beach Resort offers rooms with a terrace and panoramic sea views. 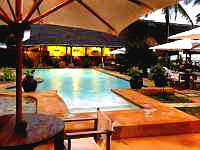 The resort also has an outdoor pool, a restaurant and bar, and an open-air guest lounge area. Guests can relax on the beach or by the pool, enjoy exercising walks along the lovely long soft beach. Water sports facilities for diving and snorkelling are also available on site. Various excursions & activities as well evening entertainment is provided for guests, and there is free WiFi access in public areas. 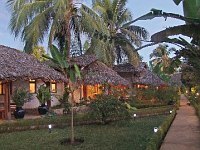 The spacious, air-conditioned rooms come with a thatched roof and wooden floors. Other amenities include a minibar and safety deposit box. The private en-suite bathroom is equipped with a hairdryer and free toiletries. 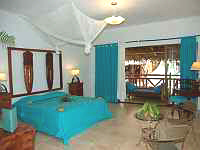 The bedroom also have a veranda, an ideal spot to relax and enjoy the ocean-view. Made with local materials, the chalets are very comfort yet leave you total immersion in the surrounding nature. A perfect get away for those wishing to get away from the crowded beaches and irritating 'beach boys', and yet only a short 25 minute drive from Fascene Airport. 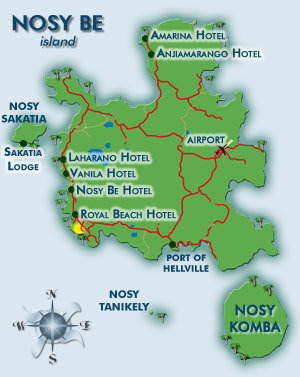 Nosy Be Hotel is located on the west coast of Nosy Be Island 35 km from the airport and 10 Kilometres north of the main town of Hellville. On a vast fine white sandy beach opposite the small island of Tanga. Set in two hectares of stunning tropical gardens. Enjoy dinner around the pool at the restaurant “Alta Marea” in the light of the crimson fading sunset. The Chief's refined kitchen offers both international and local Madagascar dishes from fish to steak. Nosy Be Hotel Pool on Nosy Be Island Nosy Be Hotel Luxury Room on Nosy Be Island Nosy Be Hotel garden & pool over looking Nosy Tanga. The 43 rooms offer a variety of styles in 3 different categories; there are 10 double standard rooms (ventilated) with private terraces and sea views, 23 standard rooms (air-conditioned) with private terraces and either garden or sea views, 3 Suites and 7 VIP Bungalows, tastefully decorated and all with mosquito nets. Swimming pool, Dive centre (PADI), Board games offered in the lounge area, Rental of a small catamaran and pedalo. - A quad bike excursion on the island. - Nosy Be Hotel boutique shop also offers local handicraft, essential oils, bags and straw hats. 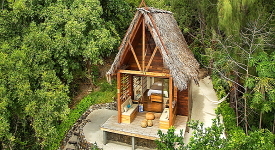 Sakatia Lodge is built on the little island of Nosy Sakatia, situated 2km off the north western side of Nosy Be island. Sakatia Lodge offers peace and tranquillity, specializes in Snorkelling, free diving, and scuba diving, offering all equipment as well as Nitrox enhanced dives. Sakatia Lodge is situated at the foot of the Sacred Mountain and Nature Reserve, offering four large bungalows en suite with single or double beds, veranda and sea view, four nature bungalows facing the gardens and one larger family bungalow. Sakatia offers the typical unspoilt tropical fauna and flora of this area, only 6.5 km long and 2 km wide at it’s widest point, it has a population of 300 habitants, no roads only foot paths, with which one can wonder at leisure and explore it’s beauty and deserted beaches. The island is fringed by spectacular coral reef to be enjoyed by snorkellers and scuba divers alike. This is the perfect quiet tropical island getaway that one normally only dreams of. A popular hotel with 2 spacious fresh water swimming pools, 4 bars, 1 boutique, a beautiful eastern styled Spa, laundry service, Baby-sitting service, and internet access. 1 conference room with equipment and seating for 45 delegates. The hotel is situated in a beautiful garden but does not have a large beach. As an alternative the management offers free pirogue excursions to the nearby island of Sakatia where you may stay on your own private beach as long as you wish. 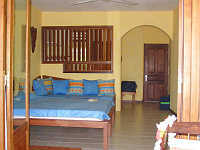 All rooms and suites have bathrooms en-suite, satellite TV, telephone, hair dryer, overhead fans and air-conditioning. Air conditioning is optional in the garden and sea view rooms. Among the 35 standard rooms, 27 can be converted to a triple room.4 rooms have connecting doors. A total of 40 rooms: 17 garden view rooms (28 m2) with private terrace, 18 sea view rooms (32 – 42m2) with private terrace, 4 family suites (36m2) which can take two extra beds (4 persons maximum), 2 prestige suites (64m2) with all modern conveniences such as mini hi-fi, DVD player, Jacuzzi on balcony, 2 WC, 2 lounges and tea/coffee facilities. The main restaurant is the Parfume Vanile where breakfast and dinners are served. Grill de Sol is located near the second pool overlooking the ocean. Open all day serving light meals and in the evenings their menu is more lavish offering delicacies such as lobster, prawn, duck pate etc. Highly recommended. 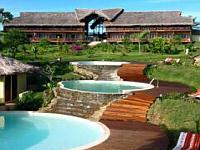 The 4* Palm Beach Resort & Spa is located on the western side of the Island of Nosy Be. The long curved Ambondrona beach extends for about a Kilometre offering you all the space one could wish for, enjoy water sports, swim of just soak up the tropical sunshine. Palm Beach faces westwards overlooking the ocean, offering absolutely pristine sunsets for you to admire & capture on camera. The resort features an outdoor pool, buffet restaurant and a wellness centre spa. 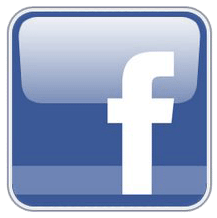 Free WiFi in the hall, reception and bar areas. All accommodation is set in a picturesque setting of green tropical gardens and water canals and features. All rooms are en-suite with some double rooms, large enough for an extra bed. All rooms are equipped with a safety deposit box, TV, hairdryer, mini bar and air conditioner. Elegantly decorated with welcoming sober colours. Each bungalow has a private Jacuzzi on the veranda. Massages, sauna, hammam, care centre, hydrotherapy pool and not to be forgotten a variety of relaxing beauty treatments for the ladies. Reservations essential. Hotel residence have free use of the gym. Various excursions are available by boat to the many and beautiful islands around Nosy Be, example Nosy Komba the lemur island and Nosy Tanikely a marine reserve. Quad bikes are available with or without a guide. Travel to the highest point being Mont Passat to discover the natural beauty of Nosy Be. Other activities include - Kayak, Pedalos, 2 tennis courts , mini football on grass, basket-ball, bocce, beach volley ball and lastly but not leased, lots of space for kids. Nosy Fanihy is situated in the north of Nosy Be. This is a little uninhabited island with a long sand beach formed by broken corals. This is great place for snorkelling. You will see a magnitude of fish and turtles plus stunning coral. Picnic lunch is served on the Andilana Beach on Nosy Be island. Departure from the hotel at 08h30 and return before 17h00. Includes: Return transfers from your hotel to the island, picnic lunch and mineral water, beach blankets. This excursion offers two islands in one visit. On Nosy Komba you will find a small lemur sanctuary with brown and black lemurs. Situated on the island is the village of Ampangorinana, a simple little village with the residents selling lovely handicrafts such as small pirogues made out of ebony or rosewood, clay animals decorated with bits of crushed shells, embroidered table cloths and good quality linen. For the more arduous take a hike up the mountain and discover a former French sanatorium. 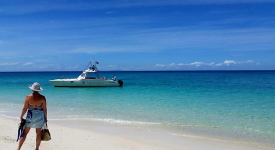 Nosy Tanikely is situated 20 minutes south of Hellville (Nosy Be island harbour) and a short boat ride from Nosy Komba. 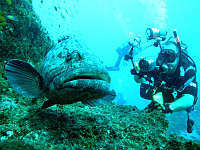 It is classified as a marine reserve and offers world-class snorkelling and diving. You may see turtles in the natural aquarium and a colony of lemurs watching over you from the lighthouse. The day is spent swimming, snorkelling and relaxing or strolling to the lighthouse. Sumptuous picnic included. Departure from the hotel at 08h30 and return before 18h00. 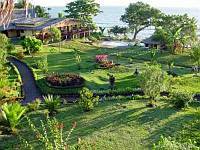 Includes: Return transfers from your hotel to Nosy Komba/Tanikely, picnic lunch and mineral water, beach blankets. Highly recommended. Nosy Sakatia is situated off the northwest coast of Nosy Be. This island has white beaches and turquoise waters. Transfer to this little island by a traditional pirogue. On the island visit the small village of Bemoko and enjoy a picnic on one of the isolated beaches. A guide will take you around the island and point out the orchids and many birds. Snorkeling in the afternoon. Departure from the hotel at 09H00 and return in the late afternoon. 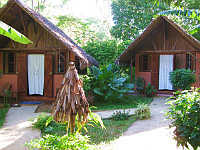 Includes: Return transfers from your hotel to Nosy Sakatia, picnic lunch and mineral water, beach blankets and guide. - Hellville, the harbour city of Nosy Be with its lively markets and cafes. - The Ylang Ylang distillery selling the perfumes on site. - The Sacred tree which is still a place of worship. - The Cascade waterfall set in a stunning setting. - The Andilana Beach in the north of the island where you will be treated to roasted crayfish/seafood and many other Nosy Be specialties. Departure from the hotel at 09h00 and return before 18h00. Include: Car for the day with driver/guide, fuel, entry fees, picnic lunch and mineral water, beach blankets. Lokobe is the last primary forest of Nosy Be where you are able to explore the wildlife and natural history of the north of Madagascar. Leave the hotel and drive to the town of Ambatozavavy (in the south of Nosy Be) and then embark onto a traditional pirogue. One hour of paddling to the town of Ampasipohy established at the entrance of the Lokobe reserve where you will find the elusive Macaco lemurs, chameleons and Boa Constrictors. At the end of the visit relax under the trees and have a typical Malagasy lunch prepared in the local village. Return back to Hellville and the bus will take you back to the hotel. Departure from the hotel at 08H30 return before 18h00.